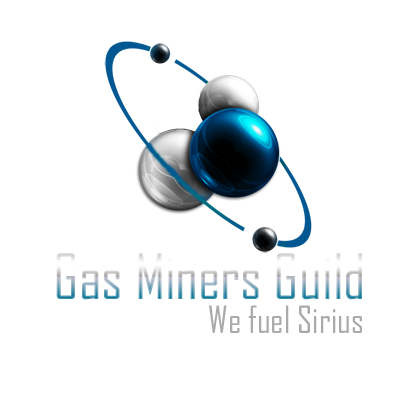 The Gas Miners Guild (GMG) is a tight-knit professional organization that acts as the primary supplier of H-Fuel to four major houses. Guild archives trace its origins back to Planet Honshu several centuries ago, when the the planet's fishing industry failed. The collapse of its primary source of subsistence lead to the vast majority of the population turning its attentions upwards, in search of a better life. Most of those that left moved to Planet Kyushu, attracted by the highly successful agricultural industry it possessed, but a smaller group of hardy pioneers had other ideas. The nearby Crow Nebula held riches beyond anything their meager existence on Honshu could have provided, in the form of highly sought-after natural gases that could be refined into valuable spaceship fuel. These men and women were the beginnings of today's Guild. 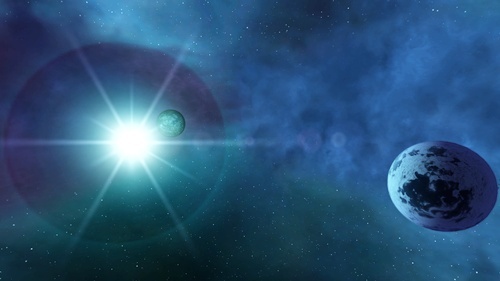 In current times, GMG has firmly established its presence in the Sigma systems and mining operations can be observed here collecting its lifeblood, Helium-3, while its transports are a common sight throughout most of Sirius as it peddles its products. Although the organisation has enjoyed a mostly successful existence since its inception, its days have not been without strife. The infamous 80-Years War saw open conflict with the Kruger-backed Imperial Rheinland Military, and more recent clashes with the Corsairs and Outcasts as well as friction with Kruger, Samura and their assorted lackies, means a highly trained and effective paramilitary is maintained to ensure GMG interests remain secure. 56 A.S. Planet Honshu is settled by Kusari, their first colony established since Planet New Tokyo 51 years prior. Most of the planet's surface area is ocean; with little landmass to develop, the settlers carve out a living through fishing. Few of the species brought on the colony ship take to the new environment, and the main supply of fish comes from one species, the Redfin. 250 A.S. The Redfin is fished to complete extinction, and the fishing industry on the planet collapses. With the already poor supply of fish almost exhausted, many inhabitants decide to seek their fortunes elsewhere. A mass exodus occurs over the next 10 years, with approximately 80% of the population leaving, mostly to Planet Kyushu. A number of bold adventurers instead head to the Crow Nebula, to harvest the fuel gases there. 282 A.S Following more than two decades of extreme individual success, the major corporate players in Kusari take notice of these mining operations and begin to make their move with intent to take control of the business and force out their small competitors. The existing miners refuse to be pushed around and band together to protect their livelihood. The Gas Miners Guild is born. 284 A.S. Aomori Station is constructed in the Honshu system, within a local outcropping of the Crow Nebula known as the Chuyu Cloud. Initially devoted to the purposes of equipment and ship repair as well as a storage facility for the resources painstakingly collected without the assistance of trade lanes or jump gates, the base evolves over the next few centuries to act as The Guild's administrative nexus. 298 A.S. The Kusari government officially recognises Sigma-13 as GMG territory. 330 A.S. The Guild signs a contract of exclusivity with Samura Industries, making the latter the sole shippers of the fruits of Sigma-13. To oversee this relationship, a contingent of Samura bigwigs and middle management is invited to take up residence on Aomori. The ensuing period of mutual prosperity forces Kishiro to look elsewhere for alternate sources of revenue. 350 A.S. Samura establishes Osaka Storage Facility in Honshu, which is taken advantage of with great efficiency. Profit margins for both Samura and GMG explode and each enjoys a golden age of co-operation and heightened income for 200 years. 503 A.S. Contact is made with the Corsairs. A deal is cut and The Guild becomes a player in the lucrative artifact trade, transporting them on behalf of the Cretans to Kusari. This relationship is a brief one, as the Hogosha decide to muscle in and manage to replace GMG, who promptly respond by declaring the Hogosha enemies and artifacts banned in their space, angering their former partners the Corsairs. Opinion of Samura also drops for their failure to intervene and allowing these events to unfold. Prospecting for fresh gas fields takes place in the aftermath of this setback. 550 A.S. Gas fields are located in Sigma-19. The search for a jump gate manufacturer begins. Lingering resentment towards Samura's previous disrespect, coupled with their current attempts to amend their H-Fuel agreement in order to increase their profit at the expense of their partners, leads to Kishiro being chosen to finance a jump gate to the system in exchange for a chunk of previously exclusive distribution rights. 561 A.S. The Omicron Beta jump hole is discovered in the Donryu Cloud of Sigma-19. Planet Elysium is charted within the Omicron Beta Edge Nebula and attracts interest due to the substantial amount of alien organisms it is home to, which are highly effective in the terraforming of planets. This unwitting trespassing initiates a bloody dispute with the Outcasts, who attack all prospecting operations in Omicron Beta and spill into the Sigmas, mercilessly attacking Guild ships on sight. 570 A.S. Imperial Rheinland turns its attentions towards GMG. A surge in industrial capacity has left the house in command of the largest fleet in Sirius, causing fuel costs to reach astronomical proportions due to imports being the sole source of fuel. Tension builds. 589 A.S. Under the encouragement of Kruger, the Rheinland Military enters Sigma-13 with the goal of forcibly claiming gas fields for Kruger mining operations, starting the Eighty Years War. The first major human conflict in the Sirius Sector sees Gas Miner Naha almost immediately captured by a lightning-fast application of extreme Imperial force. This is considered by the defenders to be a calculated loss and is incorporated into their long-term strategy, who take advantage of Kusari's neutrality to base their attacks from Aomori and engage in guerilla warfare. 614 A.S. Richtofen Station is destroyed. Amidst the ongoing warfare within the nebula, with GMG strikes taking advantage of their freedom of movement due to Rheinland's extended lines, Kruger's main mining facility in Sigma-13 is assaulted. Defences are stretched too thinly to sufficiently protect all of Kruger's interests, and the installation is reduced to a wreck of twisted metal. 620 A.S. 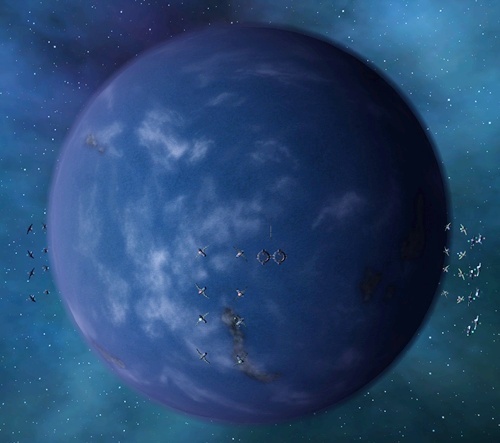 Planet Kurile is charted in Sigma-17 and is notable for its specialised alien organisms that can thrive in toxic waters. 650 A.S. The Sigma-19 jump gate is completed and the Gas Miner Ogashawa is moved to the system's safety as fighting continues. 660 A.S. Rheinland forces have taken substantial losses and are low on fuel. The Guild collects the majority of its ragtag fleet and directs pinpoint pressure on the wide Imperial hide. The target is Gas Miner Naha, and a boarding party successfully retakes the station after over 70 years of occupation. The remnant of the Rheinland defence retreats to the Yanagi Nebula, where it is soon joined by the rest of its forces in the system as they regroup and await reinforcements. 668 A.S. 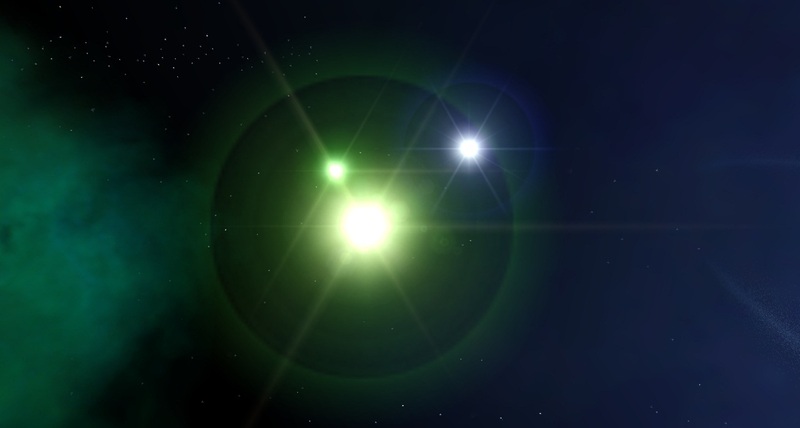 The Imperial forces still in the system have taken position in the Yanagi Nebula and been bolstered by the final military reserves brought in from home space. In the final battle of the war, The Guild meets the invaders in direct combat within the cloud and, using their knowledge of the terrain, achieve a complete rout. Brought to its knees economically, politically and militarily, as well as fearing a further push on an exposed Frankfurt, Rheinland accepts defeat and sues for peace. The 80-Years War ends, though Kruger and other Rheinland ships remain highly unwelcome in GMG space. 676 A.S. Following the signing of a contract with The Guild, facilitated by Interspace Commerce's mediation, Helgoland Station is constructed by ALG. 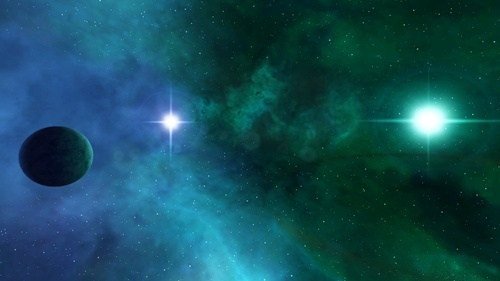 It is placed next to the Yanagi Nebula and acts as the base for ALG cleanup operations in Sigma-13, making them the only Rheinland presence tolerated in Sigma-13. 721 A.S. Relations with Samura reach an all-time low. Samura's pursual of repayments to war loans, on top of their relentless pressure to further lower the H-Fuel prices leads to GMG covertly financing Blood Dragon movements in the Hokkaido system and even going as far as to lend training in an attempt to disrupt Samura's own gas mining operations there. This support leads to great successes against the corporation. 760 A.S. Lead by the Kinai Maru, a group of explorers discover the Okinawa system. 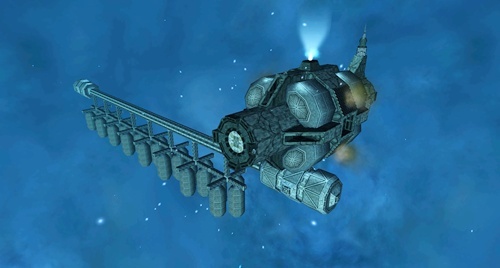 No time is wasted in establishing a colony on the frigid Planet Miura, with construction on Fujisawa Mining Facility and Isehara Refinery also starting with a great deal of funding coming from Interspace Commerce in return for 5% of Isehara's fuel profits and the privilege of buying from it and Miura at cost. The system is claimed and Kusari does not contest. 762 A.S. Work on Fujisawa concludes. The base is used much in the same way Aomori was in its youth, with the vast pastures of the lucrative Mintaka Hydrogen Field being harvested and transferred to the station. A sizeable paramilitary contingent is maintained on board. 763 A.S. Isehara is completed with the purpose of the storage of equipment and supplies sent down to the planet and the plutonium sent up, though its role later changes. 780 A.S. Terraforming is initiated on Planet Miura with the goal of raising the ambient temperature on the planet by a minimum of 20 degrees Celsius. 800 A.S. Great carnage unfolds in the Sirius Sector as a result of The Nomad War. GMG is forced to bunker down extensively for the duration of the war, in particular to avoid provoking the massive Rheinland fleet movements through Sigma-13 that, this time, could simply not be stopped with force. 801 A.S. As the Nomad War concludes, the contract with Samura is intentionally allowed to expire. An arrangement is instead made with Kishiro, who can provide superior, cost-cutting gas miners and are subsequently awarded an exclusive contract, reminiscent of the one signed with Samura centuries ago in 330. Samura staff stationed on Aomori immediately vacate and the corporation essentially considers itself an enemy of The Guild, although direct physical confrontation is highly irregular with the former instead preferring to use The Hogosha and Farmers Alliance as proxies, with the latter directly harassing their rivals only when they tresspass in the Sigma systems. 818 A.S. The Yanagi cleanup is completed. Helgoland Station is transferred to GMG control and ALG vacates Sigma-13. 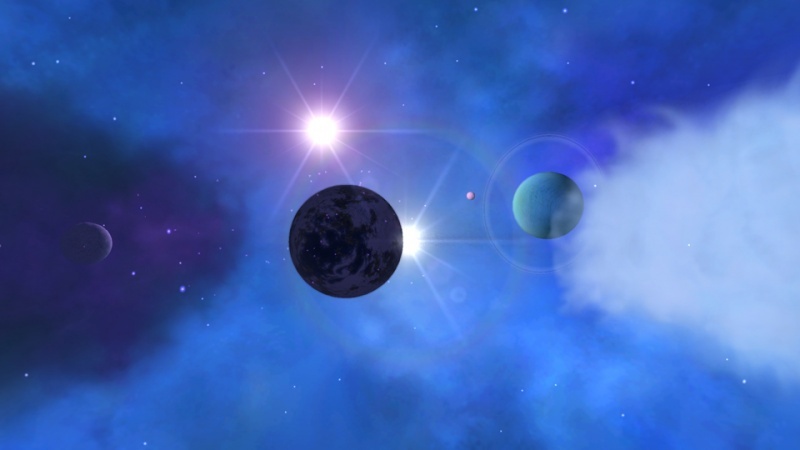 Planet Miura receives a docking ring and Isehara Refinery switches to overseeing the terraforming effort and refining the plutonium it receives. 822 A.S. With the winding down of collection operations in Sigma-13, Iejima Station is constructed in Sigma-59 to accelerate efforts alongside Niigata Star City to compensate. The base's position in extended orbit of the Okinawa jumpgate makes it a prime stop-off point for fuel transports heading in and out of the system. Its proximity to other Guild assets also means the surrounding space is tightly controlled by the GMG paramilitary, as evidenced by the wrecks of several Outcast fighters in the system, left to rot as a stark warning to those who may harbour ill intent. 823 A.S. Sigma-15 and Sigma-21 are discovered. 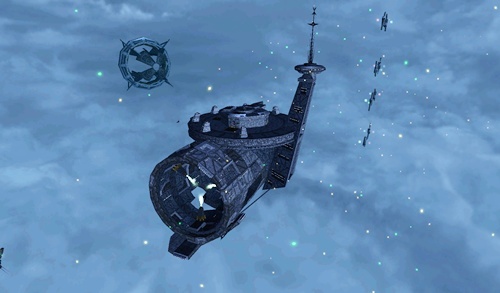 The Guild immediately lays claim to both systems and the Battleship Daishouri is relocated to Sigma-21 to enforce Guild sovereignty in the system. GMG lays eyes on the valuable Planet Saigon and initiates a landgrab to secure the planet. 825 A.S. The Guild paramilitary finally strikes Planet Kurile in the Sigma-17 system and it is forcibly confiscated from Samura Heavy Industries, albeit at the cost of its orbital infrastructure. Elsewhere, the Federal Republic of Rheinland invades Sigma-21 in an attempted landgrab of Planet Saigon. The Rheinland Military destroys the joint GMG-Kishiro installation of orbit in the planet, plunging House Rheinland into war with the Gas Miners Guild and The Restored Empire of Kusari. Sigma-13 was the first system to be exploited by the fledgling gas miners before the creation of The Guild. It was a stable source of valuable gases for many centuries and its stellar meadows have been the source of great conflict in the past. Gas Miner Naha dutifully provides extensive storage facilities and acts as the primary base of operations in the system. Helgoland Station, transferred from ALG once the Yanagi cleanup ended, has since been converted into a small shipyard to drum up a small shipbuilding business for sale on the open markets and private use, as well as serving as a capable repair depot. Mobile gas miners can be seen throughout the nebula, toiling away, harvesting in the field. The Guild has personal conflicts with both the Corsairs and Outcasts, and with the system being a major highway between Kusari and Rheinland, the pirate presence is high. GMG patrols attempt to keep this menace under control, but cannot be in all places at all times. Mining operations have been slowly winding down in recent years as natural resources begin to run out. Alternate sources of fuel in different systems, however, ensure the GMG's prosperity for the centuries to come. Despite extensive cleanup efforts, a small number of wrecks from the 80-Years War still litter the system. Sigma-17 is the home of Planet Kurile, recently confiscated from the blight of Samura Heavy Industries. The planet's native alien organisms are highly valuable to the planet terraforming process and are expected to accelerate the Planet Miura terraforming process and enhance GMG's position in the alien organism market. The seizure of the planet also has the knock on effect of greatly hindering Samura's operation on Planet Junyo in the Shikoku system which depend on supplies from Kurile. Samura is evidently enraged by this development as the Farmers Alliance's presence in the system has exploded. Its proximity to Omicron Theta and Omicron Gamma in addition to this makes the system a testing security challenge for The Guild. Famous for its tourism industry, Sigma-19 contains a smaller but fresher and more dense exploitable gas field within the Hiryu Cloud, and harvesting operations are based from Gas Miner Ogashawa. Kishiro Technologies has a noteworthy presence on the main miner, much to Samura's chagrin. 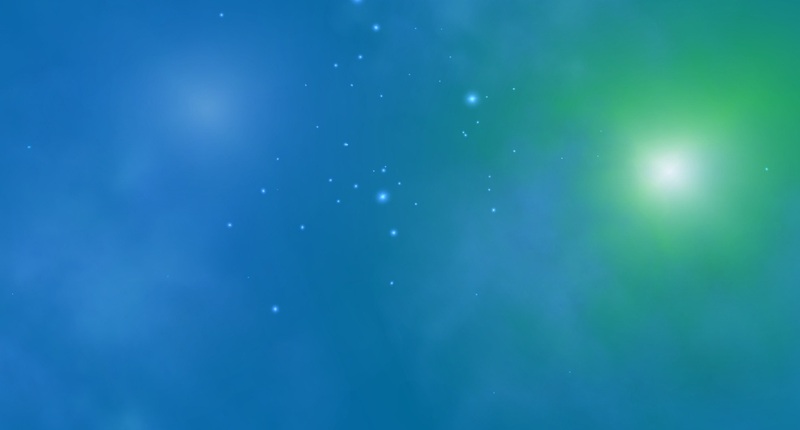 The Donryu cloud, an offshoot of the green Edge Nebula, contains an asteroid field, two uninhabitable planets, abundant alien organisms and a jumphole to Omicron Beta. The Outcasts use this jumphole to access GMG space and launch vicious attacks on all within. Periodic movements to harvest these organisms are attempted within the cloud, but are somewhat infrequent due to the dangers posed by the hostile marauders. There is also a Corsair presence, as the nearby Luxury Liner Hawaii, a popular holiday destination, serves as a major dropoff point for the alien artifact trade. Artifacts are handed off to the Hogosha to fence in Kusari, and The Guild considers this a thorn in its side. However, Orbital Spa and Cruise is a strong H-Fuel customer and the Corsairs and Hogosha do not base attacks off the ship, so a precarious balance is struck in the system. If attacks on mining operations were to originate from the Hawaii, it is most likely the liner would be evicted, but also destroyed by the other side if it denied the Corsairs docking access. It is unknown if this delicate equilibrium will last. Niigata Star City's resident system Sigma-59 is possibly the most secure under GMG's control. Niigata itself is heavily armed and surrounded by weapons platforms and the Battleship Daishouri is a short jump away. 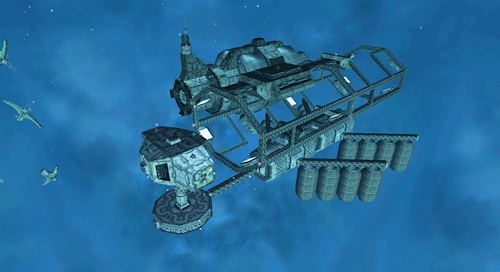 Iejima Station, another highly valuable installation, supports a gas mining operation in the Okha Nebula. The local space is safeguarded by a potent combination of The Guild's own paramilitary and a notable Bounty Hunters Guild presence. 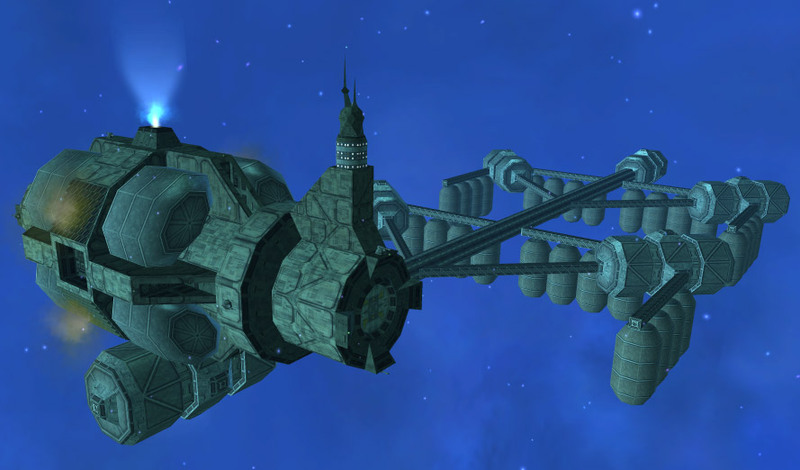 Nobeoka Platform, a Hunter station in orbit of the gas giant Nagaoka, enhances the security of the system and is testimony to the cordial relations between the two guilds. The Okinawa system is the most recent to be colonised by The Guild. Despite lacking the standard naming convention, it is considered part of the Sigmas and recognised as sovereign space where GMG law is enforced. Of the three nebulae and sole asteroid field it is home to, the serene Mintaka Hydrogen Field is of huge importance due to its enormous supply of valuable gases. The field is highly prized by the system's occupiers and is guarded zealously to ensure its reserves cannot be plundered by unwelcome thieves, as all the while a significant collection effort labours day and night. Hogosha and Farmers Alliance raiding parties are common as they intrude on the commercial activities in the system in order to impair the workings of the H-Fuel economy and hinder GMG as best they can. The resident paramilitary responds and clashes occur on an almost daily basis. The Blood Dragons and Golden Chrysanthemums also have a presence in Okinawa, but these two factions are more content to go about their own business and rarely show much interest in daily life. Sigma-21 is currently a newly discovered and wholly undeveloped system that borders Honshu, Sigma-17 and Sigma-59. The main point of interest in the system is the pristine Planet Saigon, which appears to be entirely habitable. House Kusari is apparently well aware of this and is too making forays into the system, likely to lay claim to it and its crown jewel. The Gas Miners Guild has a strong interest in securing the entirety of Sigma-21 and enforcing its independence there, exactly as it does in other Sigma systems. The Battleship Daishouri has been relocated to this end and acts as a secure forward base for Guild operations in the area. There are some other local planetary bodies to be surveyed, but the priority is Saigon and securing it to ensure The Guild's prosperity in the coming years. Aside from gas mining, The Guild has an interest in harvesting alien organisms from the Omicron Beta system. Excursions into Omicron Beta do occur, but are fraught with danger as the resident Outcasts do not approve of the pilfering of a system they lay claim to, and will not hesitate to take lives. 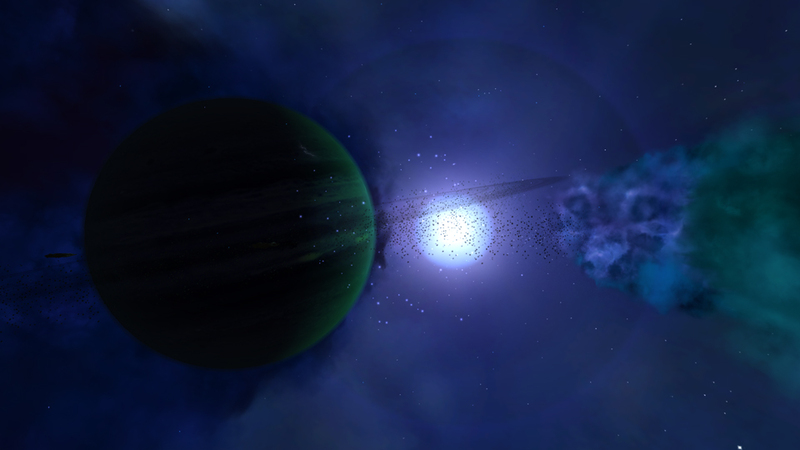 Wrecked mining ships are not unfamiliar to the the nebula that encases the system. With the capture of Planet Kurile in Sigma-17, the need for alien organism collection operations in Omicron Beta has greatly abated, however it remains a system of interest. The Sigma-15 system is a point of contention between GMG and House Rheinland. The Guild lays claim to all Sigma systems, but Rheinland had already found a link to the system and moved in before the Gas Miners Guild had a chance to establish operations there. 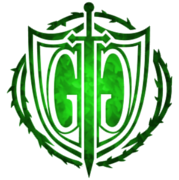 Core imperialism is also a threat to The Guild's claim to the system, given its proximity to Omicron Rho. 1. A monopoly on the fuel market must be maintained. Claimed GMG fields must be protected from those who would steal its property, namely Samura and Kruger. It is vital that Samura operations in the Hokkaido system are disrupted as much as possible, which is to be achieved through a covert partnership with the Dragons and GC. 2. Expansion into the alien organism business will be exercised. 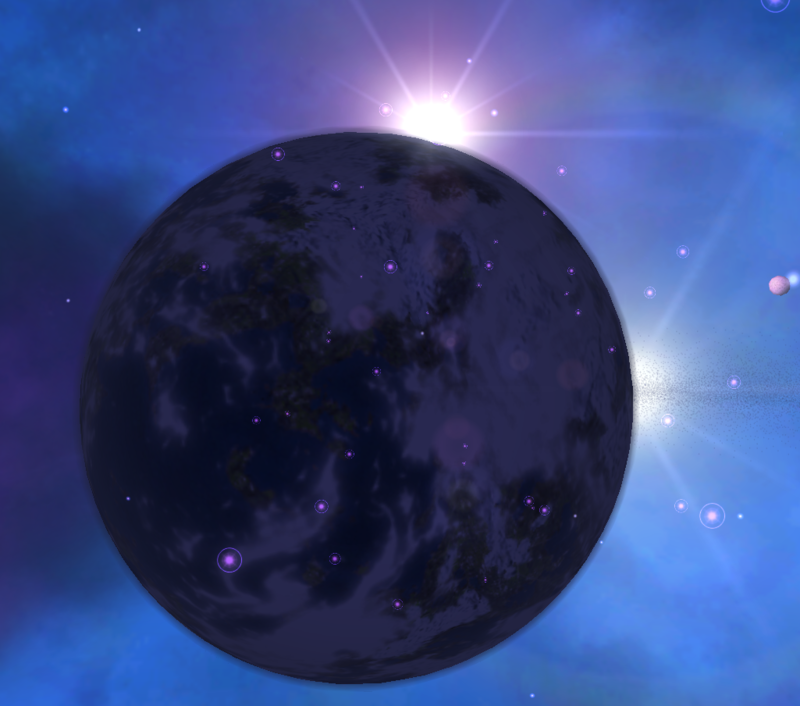 Planet Kurile is been obtained and will serve to strengthen The Guild's position in this market. 3. House Kusari has returned to an Empire. This is not particularly constructive for GMG, however both houses have more pressing matters to attend to. Cordial relationships should be established with individuals where available and close attention must be paid to the house's political processes. 4. It is essential that Cardamine smuggling operations in The Guild's primary zone of influence are disturbed, in order to cut down the economy of the hostile Outcasts. GC dependence on the drug should be quietly explored in a highly clandestine effort to subvert their addiction and subsequently their ties to the Maltese. 5. The alien artifact trade must also be targeted to do harm to the Corsairs and reduce Hogosha income. GMG|Keiji;Namura contains the 500m payment for this request. Cash taken, you will be added to the tracker shortly. Good luck!